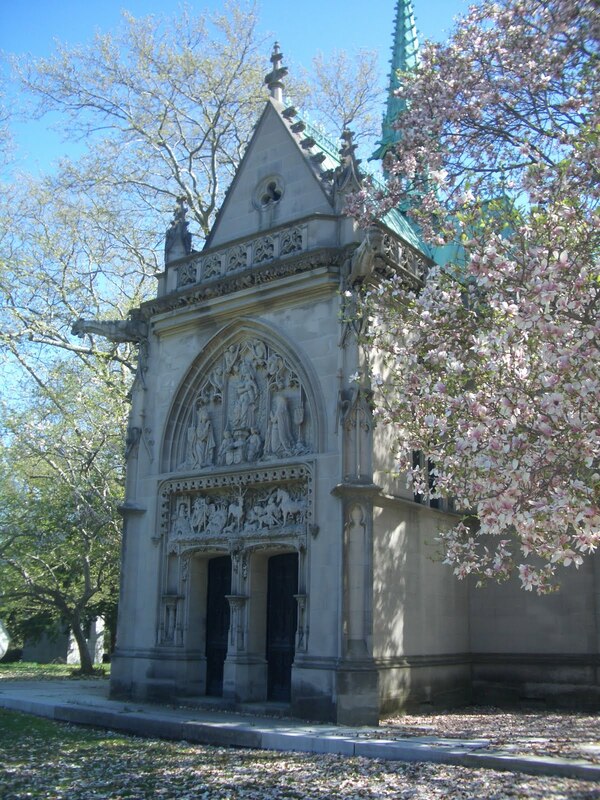 The mausoleum of Oliver Hazard Perry Belmont and his wife, Alva Smith Vanderbilt Belmont, is situated in a prominent spot in the Whitewood section of Woodlawn Cemetery. Designed by preeminent architect Richard Morris Hunt -- Metropolitan Museum of Art, Statue of Liberty pedestal, Biltmore Estate, Ashville NC, The Breakers, Newport RI --the mausoleum is a replica of St. Hubert’s Chapel at Chateau Amboise in France, in which Leonardo DaVinci’s remains are interred. Oliver Belmont's lineage was an illustrious one: The son of August Belmont Sr., whose money helped fund Belmont Park, and Caroline Perry, the daughter of Commodore Perry. 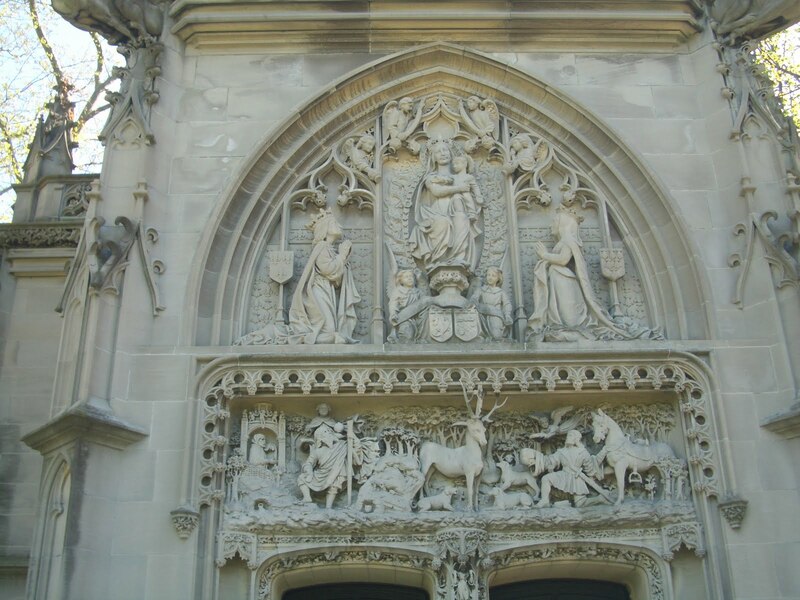 He was married to the former Alva Smith Vanderbilt, a prominent figure in the women’s suffrage movement. Oliver Belmont, a financier and thoroughbred enthusiast, died on June 10, 1908 from peritonitis, after surgery for a ruptured appendix. Only ten days prior to his bout with appendicitis, Belmont was healthy and hale, spending time with his wife at Belmont Park. 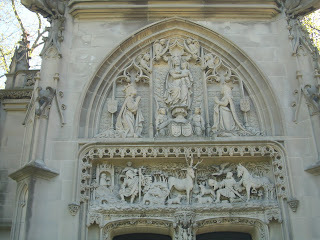 Belmont’s funeral service took place at Garden City’s Cathedral of the Incarnation. A special train met mourners in Queens, transporting them to the Long Island church. 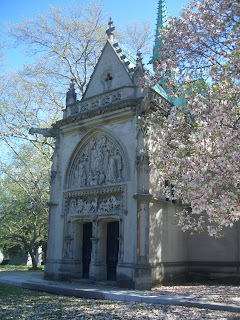 Alva Belmont died in 1933 and a suffragette banner hangs inside the mausoleum in her honor.